Tiger Woods and Lindsey Vonn fell victim of the latest celebrity photo hack and the professional golfer is not not taking it lightly. Woods and Vonn were just two of the celebrities whose intimate photos were recently hacked and published by Celeb Jihad, TMZ reports. Victoria’s Secret Angel Stella Maxwell, singer Katherine McPhee, Miley Cyrus, Kristen Stewart and others also had graphic images posted to the website. 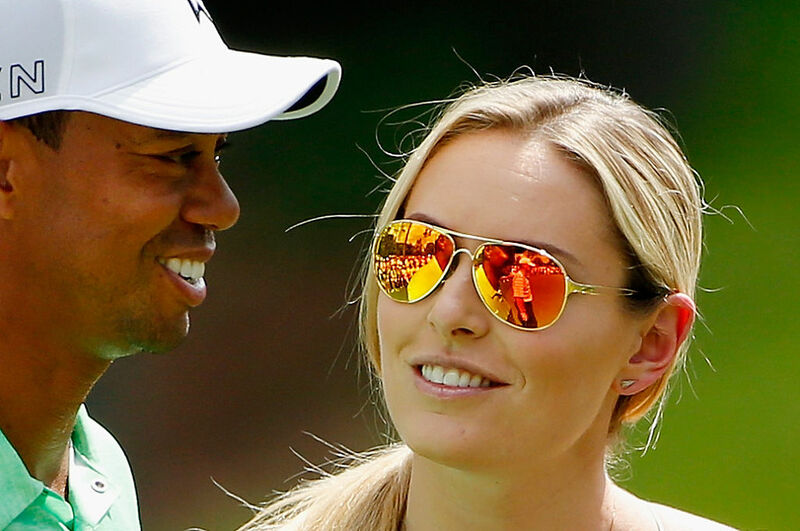 The intimate photos of Woods and Vonn were reportedly taken back when the two were a couple. Vonn’s phone was the one that got hacked, but Woods acted quickly and his attorney, Michael Holtz, is threatening to sue the site if they don’t remove the photos of the golf star immediately, according to TMZ. Woods clearly doesn’t want waste any time in getting the photos offline. He’s already had enough negative attention surrounding him after he was arrested for a DUI over Memorial Day Weekend. McPhee has also acquired an attorney to take action against the hack and it wouldn’t come as a surprise if the rest of them did the same.